More than 400 exhibitors and partners will come together under one roof to answer all of your questions and help make the dreams of your next destination come true. You can select them by clicking on the destination of your choice or by writing the first letters of company name in the search engine. 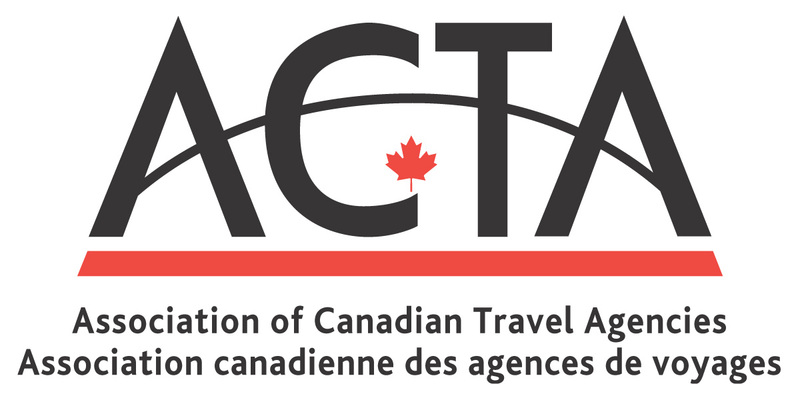 Association of Canadian Travel Agencies. L'Association is present at the SITV show to promote ours members and the importance to book with a travel agencies . Stretching across the western shores of Lake Champlain in the shadow of New York’s Adirondack Mountains, the Adirondack Coast offers unprecedented views, endless recreation and a central location. Lakeside villages, charming hamlets and the historic city of Plattsburgh dot the landscape. From history to agritourism and everything in between, the Adirondack Coast offers endless opportunities for you to escape the everyday! Why Fertility Center Cancun? Helping others solve their fertility issues in Mexico. We’re a state-of-the-art in vitro fertlity center on the mexican southeast side. Our success rates are above 90% effective on our assisted reproduction procedures and with highly qualified professionals in the field, working hard for the only purpose to achieve that our patients get pregnant, with the less physical stress possible as well as emotional. We know the situation that most couples are going through. Aer Lingus is the national airline of Ireland, founded in 1936. It operates 65 aircraft on over 100 routes, flying 17 nonstop routes from North America, including Montreal and Toronto to Ireland and Europe. The airline carries more than 12 million guests per annum. Its mission is to become the leading value carrier operating across the North Atlantic enabled by a profitable and sustainable short-haul network, and supported by a guest-focused brand and a digitally-enabled value proposition. Montréal-Trudeau welcomes more than 18 million passengers a year and is connected by direct flight to 149 destinations - 90 of which are international - served by 36 carriers. As a veritable hub for air traffic, the airport enjoys a varied service, worthy of the largest North American hubs. Air Canada is Canada's largest airline and the largest provider of scheduled passenger services in the Canadian market, the Canada-U.S. transborder market and in the international market to and from Canada. In 2017, Air Canada together with its Air Canada Express regional partners carried over 48 million passengers, offering direct passenger service to more than 200 destinations on six continents. Transat is a leading integrated international tourism company specializing in holiday travel. It offers vacation packages, hotel stays and air travel to some 60 destinations in 26 countries in the Americas, Europe and the Middle East. Based in Montreal, the company has 5,000 employees. Transat is firmly committed to sustainable tourism development, as reflected in its multiple corporate responsibility initiatives since 2006, and was awarded Travelife Partner status in 2016. Bolivia, located in the core of South America, is one of the most unique countries in the world due to it’s great diversity and dramatic variations in topography and climate. The country offers a wide range of ecosystems from low-lying wetlands and forest such as the dense rainforest of the Amazonian region, high plateaus with snow-capped mountains of the Andes and dry forest in the Chaco region. The country offers an unforgettable adventure in the midst of beautiful natural landscapes. Joining Aqua Terra Travel is to belong to a real team. The large Aqua Terra Travel family brings together travel agents from across Quebec. Join the undisputed leader in the Canadian market of external travel agents. Give your career a boost by benefiting from our expertise and the best travel technology. Always at the forefront of the market, we will offer you the support you need to develop new markets. Join a company that is both visibly recognized and credible. 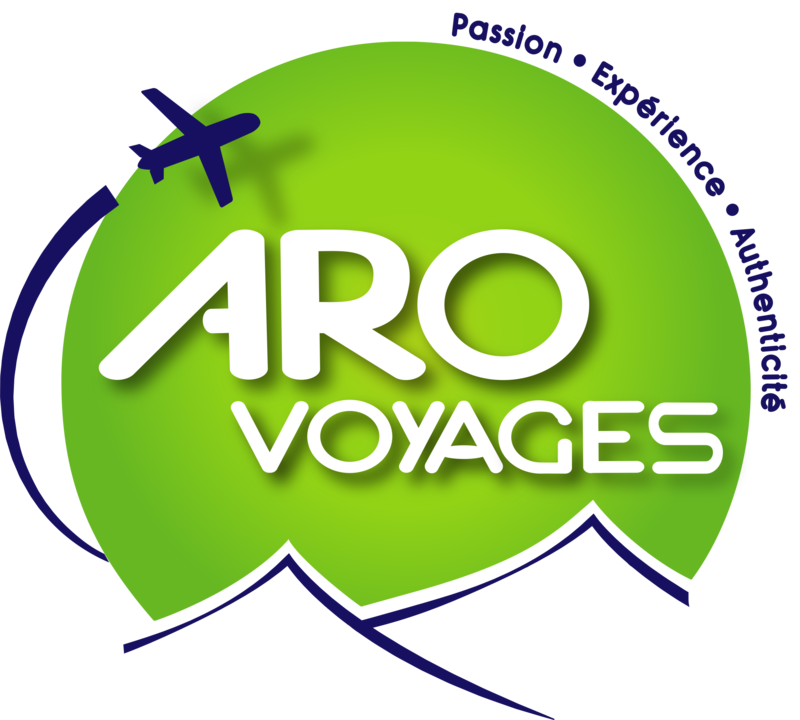 ARO Voyages is an agency specializing in group travel as well as in internship programs in international cooperation. 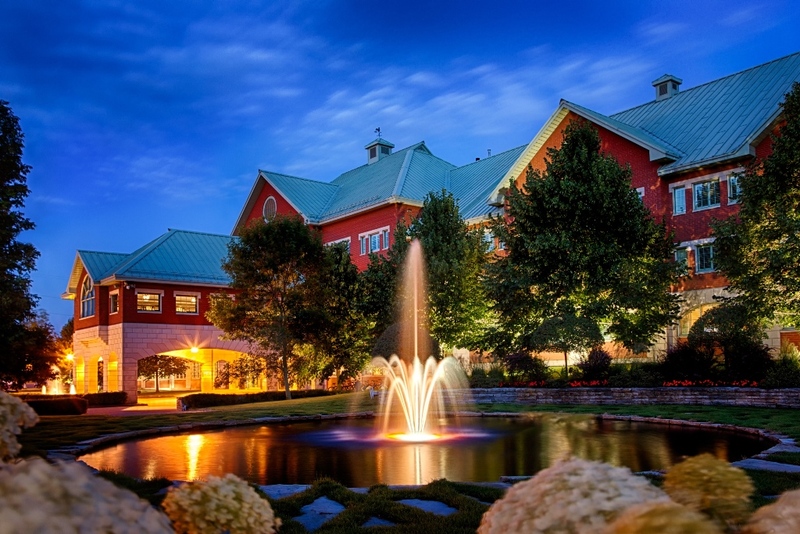 Auberge Godefroy, 4-star hotel located between Montréal and Québec, welcomes you in a warm atmosphere with cozy comfort and personalized services. With a variety of vacation packages, the Auberge Godefroy is a coveted destination for both relaxation and entertainment. As a couple, with family or friends, everything is well thought-out for memorable getaways. Packages from $ 105/pers. Presentation of movies and conferences about travels in the theaters of Quebec. Our movies show breathtaking landscapes, cultures and narratives of travelers, just like you. Les Aventuriers Voyageurs also offer trainings in movie making for travelers who wish to produce a movie of their own travels. Bahia Principe Hotels & Resorts is the perfect option for those who wish to live a vacation experience at its fullest. Our 24 establishments total more than 13,600 rooms. We are located in the loveliest locations in the Dominican Republic (Playa Bavaro, La Romana, San Juan and Samaná), Mexico (Riviera Maya), Jamaica and Spain (Canary Islands and Balearic Islands), and all our hotels are designed so that our guests can enjoy their holidays any time of the year. The Barbados Tourism Marketing Inc. is a National Tourist Office promoting and marketing the various elements of the destination of Barbados. Barceló Hotel Group is the hotel division of the Barceló Group. At present the group has more than 245 four and five star urban and holiday hotels, and over 54.000 rooms distributed throughout 22 countries. The brand architecture is constituted by 4 insignias: Royal Hideaway Luxury Hotels & Resorts, Barceló Hotels & Resorts, Occidental Hotels & Resorts and Allegro Hotels. It is the third largest chain in Spain and the 29th largest at international level. The Belize Hotel Association is your connection to over 90 Hotel and Accommodation providers that we represent, throughout Belize, along with several DMC's, Tour Operators, domestic airlines, water taxi services, and other allied members that service the Tourism industry in Belize. Hotels and services to fit every traveler, from Economy to luxury properties Belize Hotel Association (BHA) is a non-profit, non-government organization, and Belize’s oldest private sector tourism organization. We offer services for Safari adventure in East Africa. Specializing in Gorilla trekking in Uganda, Safari game park drives in National parks ei, Queen Elizabeth, Machission falls, Kidepo, lake Mburo etc, and cultural site visit and the Source of the Nile river, Bird watching, Volunteering safaris Masi Mara and The sites of Genocide in Rwanda and the Mt. of the moon trecking. The Trade Office of Peru in Canada is located in Toronto. 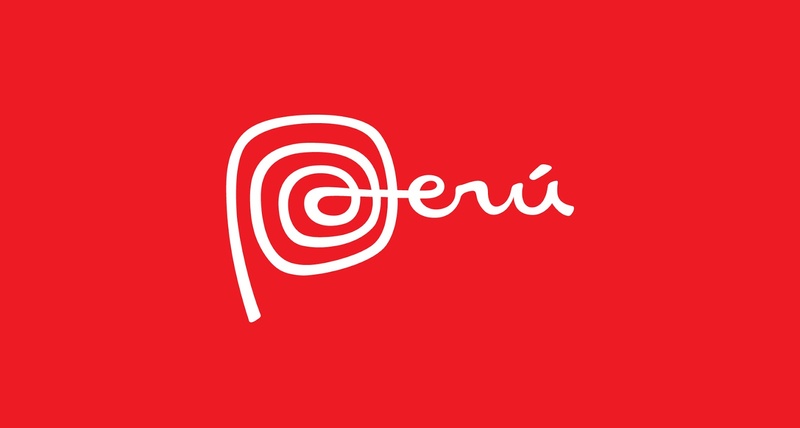 His principal mandate is to promote Trade, Tourism, Investment and the Peru Brand to the Canadian market. In the tourism industry, the Trade office plays a key role informing Canadian operators and agencies of Peru's tourism potential. Whether you are travelling for pleasure or business, our agency takes care of everything. There are 14 locations across the province to serve you, all of them open to the general public. 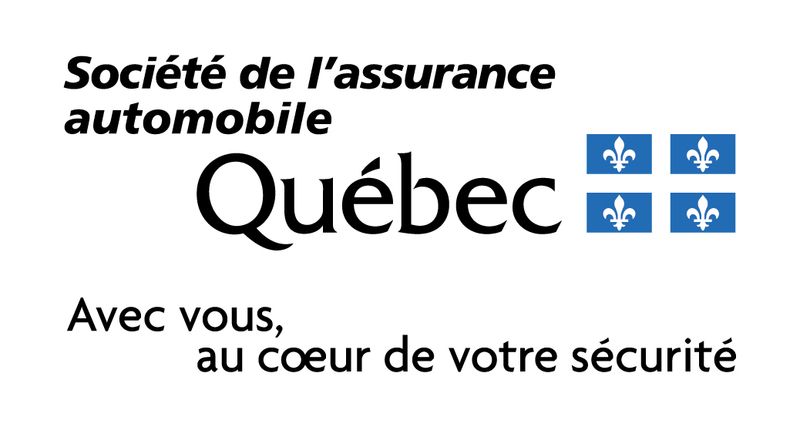 Are you a CAA-Quebec member? You enjoy additional benefits, such as travel literature and discounts! On an enchanting site, we offer boarding services for dogs, daycare, training, canine sports, boutique specialized in canine sports. Theme parks open year-round. Training room for professionals. 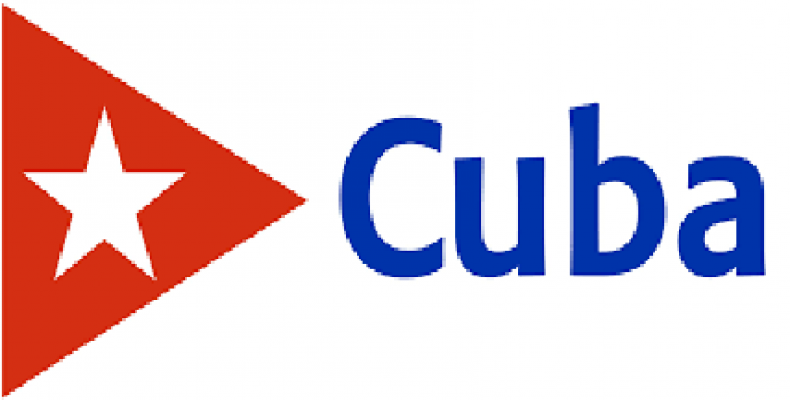 The CTO is the Caribbean's tourism development agency comprising 25 countries and territories including Dutch, English, French and Spanish as well as private sector members. Our vision is to position the Caribbean as the most desirable, year round, warm weather destination, and its purpose is Leading Sustainable Tourism - One Sea, One Voice, One Caribbean. Centre La Tienda is a unique Canadian company that raises awareness of the benefits of walking and making smart consumer choices with regards to hiking gear, especially on the ways of St-James. Our tour operator "Buen Camino" responds to the great demand of our customers and allows them to find a turnkey product. Buen Camino's specialized services consist of providing a travel with complete peace of mind. Chaka camps comprises of three camps namely chaka mobile camp, Kiota camp and Kichuguu camp Chaka mobile camp moves seasonally with the wildlife migration from Ndutu to Kogatende. Kiota camp is permanently nested in the grass laden hills of the central Serengeti. Kichuguu camp is dedicated to the termite mounds of Tarangire, the park is full of big and small wonders. We believe the wonder of a day in the wild should be complimented by the comfort of a night in a place that feels like home. And so our mission at Chaka Camps is to create an experience for our guest In 2013 we opened Chaka Mobile Camp to follow the seasonal wildlife migration between Ndutu and the Northern Serengeti. In 2015 we added Kiota Camp as a permanent camp in Central Serengeti. And this year, in 2017, we are excited to announce our extension into Tarangire National Park : Kichuguu Camp. Tours Chanteclerc offers motorcoach tours in North America, air and land packages to Africa, South America, Asia, Europe, South Pacific and a wide range of cruises. All prepared by our more than fifty permanent employees who know your tastes and expectations. After swimming skin care products. Collège April-Fortier is a tourism career college specializing in the travel industry. The program of short duration leads to an Attestation of Collegial Studies (AEC) in Organization of National and International Travel (LCL 16). 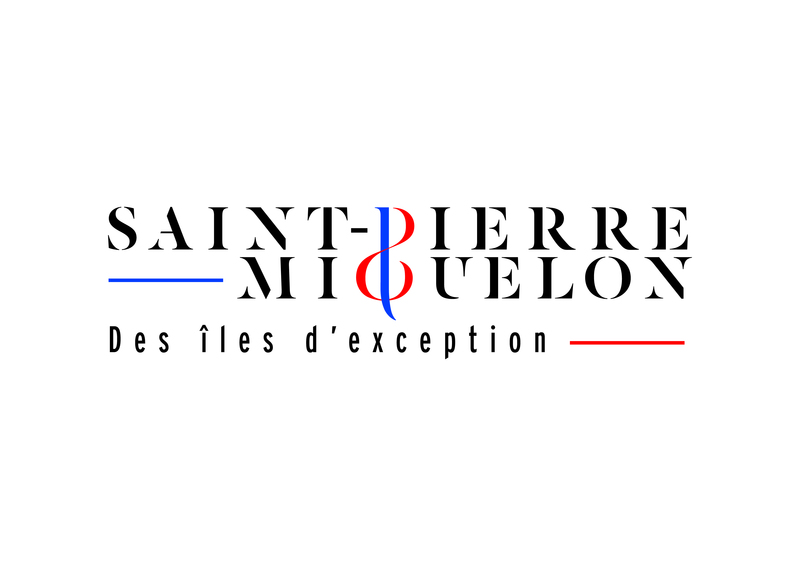 This course is recognized by the Ministère de l’Éducation et de l’Enseignement supérieur. Set between Nicaragua and Panama, Costa Rica offers visitors an abundance of unique wildlife, landscapes and climates -- meaning a trip to this Central American country is anything but run-of-the-mill. The country proudly shelters approximately five percent of the known biodiversity in the world and has become a global leader in sustainable practices. Visitors to Costa Rica enjoy a highly organized tourism infrastructure offering a broad terrain of activities and accommodations. The Croatian National Tourist Board is the national tourist organization established to promote Croatia’s vibrant tourism and hospitality sector, a major economic growth industry for the country, as it aims to become one of the most desirable travel destination in the world. The CNTB strives to promote the identity, culture and reputation of Croatia through numerous international initiatives, strategic marketing activities, and key partnerships with the most relevant global industry players. Our specialty, cruises. We offer over 2700 cruises on our website. We offer hosted cruises around the world with luxury cruise ship. We believe that the best journeys are a combination of land portion follower by a cruise. We offer cruises only or packages with airplanes, transfers, cruises and hotels for pre or post cruises. Our agency is certified Elite Cruise Counsellors from CLIA and we are a proud member of Ensemble Travel Group with 800 agencies across Canada USA and Australia. The Embassy of the Czech Republic, together with the CzechTourism USA & Canada is pleased to promote the Czech Republic, and its capital Prague, as tourist destination in the heart of Europe. Dhow & Jeep Tour is a reliable and stable travel company and arrange for their clients the perfect holiday in Zanzibar and Tanzania. The main task of the Dhow & Jeep Tour Company is to promote the development of the tourism industry, to acquaint the guests with the unique history and culture of the island of Zanzibar, its traditions and hospitable inhabitants. 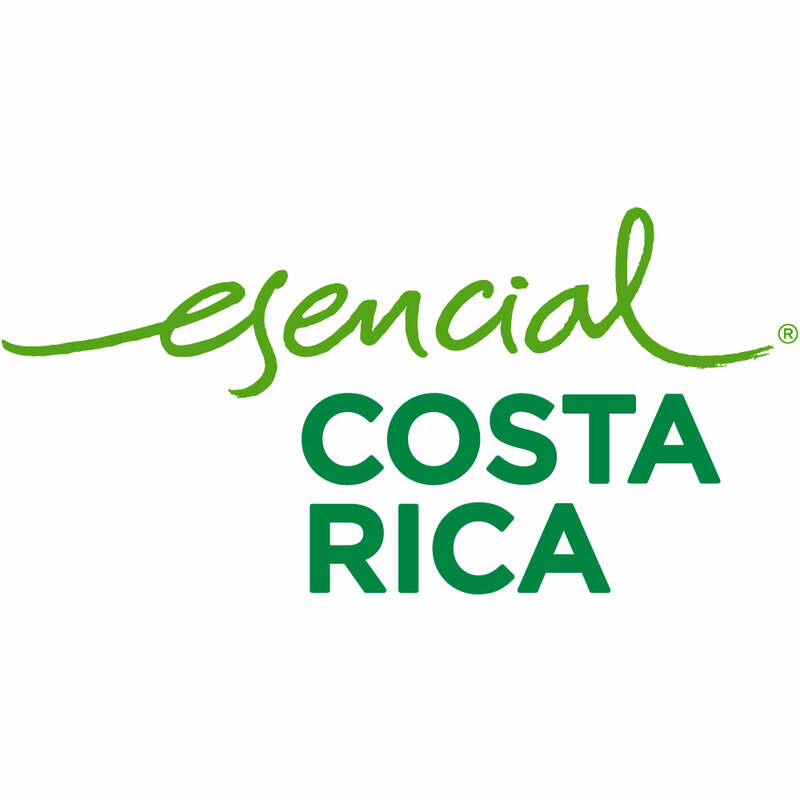 We pay great attention to ecotourism and strive to preserve our magical island for residents and visitors. We specialize in the most beautiful and fascinating places that are usually not so easily accessible to other tourists (Amboseli, Masai Mara, Saadani and others), coastal towns (Kilwa, Bagamoyo), northern areas (Serengeti National Park, Ngorongoro Crater, Kilimanjaro, Manyara National Park, Tarangire National Park), as well as the islands (Zanzibar, Mafia, Pemba and others). This is a unique and unforgettable experience. We believe it’s the small things that make the difference between a good day out and a perfect one. That’s why Dil Tour – Ethiopia offers a completely customized, bespoke tour across Ethiopia that triggers the “small things” effect within you. Be it a solo traveler, a couple planning the best day out, we are here to handle every detail of your experience. The more experienced a traveler, the harder to please, that’s the reason for us to going bespoke and getting exactly what interests you. EA Holidays Ltd is a PADI five star Tour Operator Diving Organiser. dealing to different hotels and diving center in Pemba Island, Zanzibar and Mafia Island . We are proud to be one of the first diving Organiser on Tanzania. We are located on the Capital of the Island Pemba and Zanzibar stone Town . Our Divers team speaks English, Spanish, French, German, Russian, Africans and Swahili. We work hard to make sure you get the best scuba diving experience and your safety always come first. We are a young Ecuadorian tour operator that truly believes tourism can be socially responsible and environmentally friendly, while you have lots of fun and adventures. We have carefully chosen our providers, so you can be assured that, in one way or another, you are helping us to make a positive impact in the world. Are you traveling with family, friends, solo? Looking for nature, wellbeing or relax? Visit us at booth 609 to find the perfect trip for you in Ecuador. Live the holiday experience by bike or bike-boat. From 2 or in small groups. Ekilib manages all the logistics for a memorable group or customized trip: flight, accommodation, meals, luggage transfer, road or hybrid bike rental, logbooks. Europe, United States, South America, Cuba ... we will find the best option that suits you according to your level and your budget. Located in the heart of America, Honduras has one of the most diverse tourist offers in Central America, which includes archaeological riches, beaches, colonial cities, mountains, forests and a unique biodiversity. From the Copán Ruins, a park that was declared a World Heritage Site by Unesco We are part of the largest and most important coral reef in the Americas, which is considered one of the best places for diving in the world. The Embassy of the Republic of Indonesia in Ottawa is one of the Indonesian government representatives in Canada. 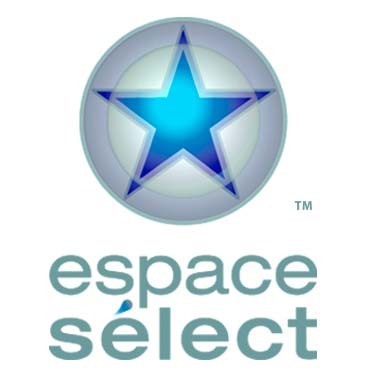 Espace Sélect is a Canadian agency specializing in the creation of individual trips and the organization of photo safaris in Africa. As a Star Alliance Member since 2013, EVA AIR flies to more than 63 international destinations throughout Asia, Oceania, Europe and North America. In addition to Toronto and Vancouver, we also have USA gateways to Taipei direct service from Los Angeles, San Francisco, New York, Seattle, Houston and Chicago. With just one easy stop in Taipei, travelers can connect onward to most major cities throughout Asia. Gendron Travel is a travel agency specialized in sports trips (golf, ski, cycle) as well as tours all over the world (coach getaways, cruises, theme trips, etc.) for a total of about 400 departures every year. In business for over 35 years, Gendron Travel counts on over 75 specialists, bus drivers and group leaders, all of whom are passionate about travel. Come and meet our specialists! The Travel.gc.ca website is the Government of Canada’s one-stop shop for Canadians travelling, living, studying and working abroad. Before a trip, Canadians are encouraged to consult travel advice and advisories, stay connected to our social media platforms and download the Travel Smart App. Also, the Registration of Canadians Abroad service enables the government to reach Canadians in case of an emergency. Travel smart! Gifted by nature with a remarkable landscape and by man with an outstanding ancient civilization that is still relevant today, Greece has always been the subject of love and admiration. Greece is a country of breathtaking landscapes, amazing islands, mountains of unparalleled natural beauty and cultural sites of global prominence. Imagine your visit in a setting of enthralling history, rich cultural heritage, celebrated adventures, and alluring shopping. 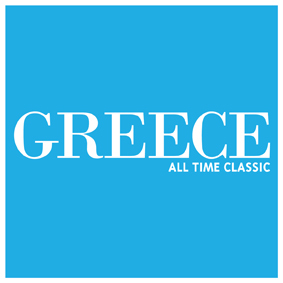 Greece makes the ideal choice! Guatemala is a country with a full-year spring, and numerous natural attractions. Unique by its beauty and a heritage of culture and tradition from the Mayan Civilization, it makes us proud to call it the Heart of the Mayan World, a must destination for your next trip. We are a tour operator specialized in Viet Nam tours, we are based in Quebec City. We offer a wide range of tailor-made tours, mini-tours, stays and cruises for individuals and groups. Different types of travel are proposed, live the Vietnamese experience thanks to our authentic tours! Home of the Victoria Falls, Zambia offers a truly authentic African holiday experience. The depth of her cultures, the drama of her landscapes and wildlife plus the delightful and peaceful people – come and explore this naturally beautiful country. Venture into the wilderness, you will find a landscape with captivating reminders of the past such as ancient rock art, burial sites and small villages of thatched roof huts that have been in the same area since the iron age. Iberostar Hotels & Resorts is a leading hotel chain for holiday hotels, located in the main tourist destinations in Spain, the United States, the Mediterranean and the Caribbean. With more than 110 four- and five-star hotels, Iberostar Hotels & Resorts offers hotels and resorts where you can enjoy a relaxing time on the beach, with golf, a spa & wellness centre, as well as weddings and conferences. With Iberostar Hotels & Resorts, you get the best variety of holiday choices! The Jamaica Tourist Board's mandate is to develop and commercialise its tourism industry so that Jamaica can retain its position as the preferred tourist destination of the Caribbean region. As such, Jamaica won 24 prizes at the World Travel Awards ceremony 2018, as well as winning the Leading Caribbean Destination. The Jamaica Tourist Board has offices in Montego Bay, Kingston, Miami, Toronto and London. The Japan National Tourism Organization in Canada is located in downtown Toronto and has a mandate of promoting Japanese tourism in Canada. The JNTO Canada provides Canadian travelers with information that allows them to learn more about Japanese destinations as well as plan their trip. Its role includes information gathering, market analysis, planning and implementation of sales campaigns, and implementing advertising and other media focused promotional activities for the Canadian market. Travelling should never compromise on your health. Keep in mind that your pharmacist can be an important ally in helping you maintain good health during your trip. Whether you are going camping, on an excursion or to an exotic destination, speak to your Jean Coutu affiliated pharmacist-owner for all of your prescription, vaccination and health tip needs! Come see us! Pharmacists and nurses will be there to answer all your questions! Jeep is a leading automotive company that offers a range of utility vehicles for civilian use both on and off road. We are situated in the heart of the capital city of Nepal, Kathmandu, We are one of the leading and well established names in the field of Travel Agencies. 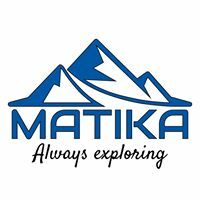 Ours is a government license holder company which is affiliated with Nepal Tourism Board of Nepal. Here, you are serviced by professionals who lead you to ensure your enjoyment and safety during the time you stay with us. We would be glad to assist you throughout your visits around Nepal from Terai to the highest peak Mt. Everest. Karibu World has established ground handling capabilities with a fleet of vehicles that cater to Tanzania's top tourism focus. Our safari division provides tours to Tanzania's beautiful and naturally bio-diverse landscapes. We specialize in Tailor made Safari's for the wildlife parks in Tanzania including Ngorongoro and Serengeti. With over 53 years in the business you can rest assured that we have the experience to consistently provide your clients a wildlife safari that they will never forget. Tailor-made luxury travel designer in Tanzania. Authentic safaris in the heart of the Tanzanian bush, the Mount Kilimanjaro climbing, the Mount Merou climbing or even paradisiac escape in Zanzibar, we design personalized itineraries adapted to everyone's requests : couple, family, group of friends ... Identifying travelers’ needs and desires is essential to realize of a tailor-made travel. A trip to Tanzania is an exceptional and unique experience. Korea Tourism Organization Toronto Office operates in the following areas. Co-operates with Canadian travel agencies to develop Korean travel products and to promote travel to Korea (Presentations, Sales calls, Joint promotions with travel agencies, Familiarization trips to Korea and more). Co-promotion with local media (Media Familiarization trips, interviews and more). 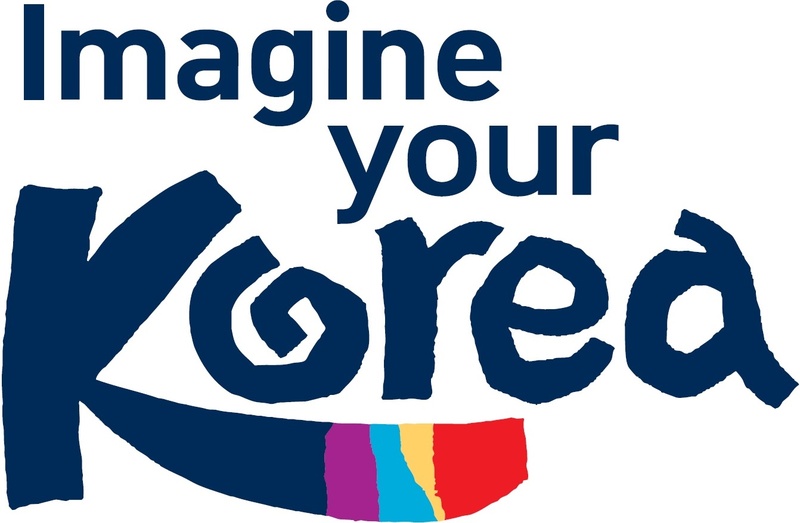 Promote Korean travel to Canadians (Brand Advertisements, Consumer travel shows and Events). Kuwait Airways is the national flag carrier for the State of Kuwait. It has been established by many as a benchmark in the industry and offers a host of comforts and delights for its passengers. Some of them include, Brand new state of the art Boeing 777-300ER aircrafts with 4 cabins configuration i.e. Royal class, Business class, Premium economy class and Economy class. World class in flight entertainments, including WIFI connections. It has 25 brand new aircrafts, 46 destinations and 100 flights daily. 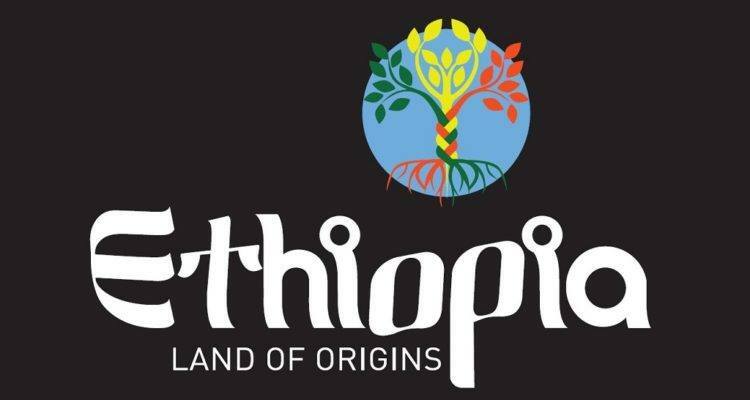 The Embassy of Ethiopia promotes Tourist destination site, recruits Tour operators to include Ethiopia in their package, organizes FAM Trip and supports Tour Operators and Travel agents when they need assistance. Ethiopia is an ancient country whose unique cultural heritage, rich history and remarkable biodiversity are reflected in a tally of nine UNESCO World Heritage Sites - more than any other country in Africa. A varied selection of exciting destinations awaits the visitor to Ethiopia. LV Travel has been running business since year 2000, as a Vietnam’s first B2B inbound wholesaler tour operator in Viet Nam,Indochina. We are specialized in customize tours. We have strong contract with thousands of hotels, resorts in our destination. We can guarantee bring to you and your clients the best services and most competitive price. More than just a travel agency, Latitud 0° is a state of mind, it represents a respectful approach towards the country and its people. Passion for both travelling and human relationships are the main features that describe our team, a group of Ecuadorian, Swiss and French professionals in the industry. Founded in Quito in 1991, Latitud 0° quickly became a reference for the individual and adventurous travelling in Ecuador. With 700 performances in 53 cities, Les Grands Explorateurs continue their original mission season after season to help Quebecers better understand, explore and love the vast world around them. The Great Explorers have become a real institution in Quebec that has marked all generations since the 1970s. A unique success story in the field of entertainment and culture in the country with the largest number of subscribers. We offer circuits in small groups in Asia, Africa and South America. And we have a speciality for the custom-made trips. All the team working at Les Routes du Monde are big travelers. Passionate people of ground, who speak about destinations that they know by heart. We are not entrepreneurs selling journeys, but rather travelers become entrepreneurs, wishing to share our experiences and our knowledge of the ground. We create, by the tourism on foot, on bicycle and of exception, moments of break in the everyday life, a disconnection from the outside and a reconnection with ourselves. The physical activity, the walking, allow an active and environment-friendly discovery. We are fascinated by nature, by culture and discovery. We propose experiences for all the types of journeys: from the beginner to the veteran adventurer. Unique and practical products for a successful trip! Inflatable hammocks 3 in 1, diving mask, techno products. Come see our new products promotion at the show! Maya World Tours has become a leader in the travel inbound industry as Tour Operator and DMC; as well as shore excursion operator for the most important Cruise Ships in the region with 60% of market share. Specialized in Groups, FITs, tailor made products and large size operations (charters), with high standards of quality and service. MGM Muthu Hotels is one of Europe’s leading leisure groups. MGM Muthu Hotels offers a wide range of affordable luxury self-catering and all inclusive accommodation. With a wide range of facilities, they attract both business and vacationing tourists and offer much more than just a convenient place to stay. The goal is to be the best of the best and to tempt new and existing holiday makers to have excellent holidays, offering them quality, flexibility and choice. In El Salvador, the smallest country in Central america, recent efforts to emphasize tourism have created a wealth of opportunities for travelers interested in exploring this beautiful destination. El Salvador offers visitors , nearly 200 miles, of beautiful beaches and more than 45 warm beaches, some with black volcanic sand. El Salvador also offers archeological sites, colorful colonial villages, celebrated traditions, delicious cuisine, and beautiful craft that reflects the country's vast culture and heritage. Welcome to MJ Safaris Uganda, a local tour operator offering customized and tailor made safaris in Uganda, Rwanda, DR Congo, Kenya and Tanzania. We are one of the finest tour operators offering a wide range of tours at affordable prices! For over a decade, we have been conducting tours within East Africa. We would like to invite you on a journey of adventure through the East African Region, the best destination for memorable safaris. Monpays Tours est une agence réceptive Éthiopie depuis 2006. Nous sommes leaders dans le secteur francophone, et recevons de nombreux groupes de tailles différentes. Notre maîtrise de l’Éthiopie nous permet d’offrir les meilleurs services (hôtellerie, transports, guides…) à des prix très attractifs, pour des circuits sur mesure. Venez vite nous rendre visite pour découvrir notre fascinante culture ! MNTO promotes Morocco as tourist destination on the Canadian market. Wether for leisure or business, we inspire Canadians to choose Morocco for their futur travels to discover its business potential and its cultural diversity, beautiful nature and secular architecture. There are many ways to explore Morocco: Seaside, Cultural tours, Soft Adventure, MICE, etc. In other words, you have a thousand reasons to visit Morocco. Mundo Maya Organization is a non for profit, international organization that promotes the Maya Culture of the Mundo Maya Región (South of Mexico, Belize, Guatemala, El Salvador and Honduras). At Mundo Spanish School, we offer individual and group courses for all levels and for all kind of professions and specializations such as Medicine, Day care, Social care, tourism , animal care. Our School has two locations: The beautifull colonial town of Antigua Guatemala and the small village of San Juan del Obispo. Two-location program: Study Spanish and get involved in meaninful cultural work, in Antigua Guatemala and Lake Atitlan. Accommodation with a host family. VIp for seniors. MyTravelDubai.com provides an easy and professional way of booking your leisure activities in United Arab Emirates. We have a wide range of activities on offer, such as desert safari, dhow cruise, theme park tickets, dining, and exciting city tours that will help you experience the wonderful cities of United Arab Emirates in a variety of ways. Keeping our vision, “value for money & client satisfaction” as a compass, MyTravelDubai.com evolved geographically, We invite you to share our vision. 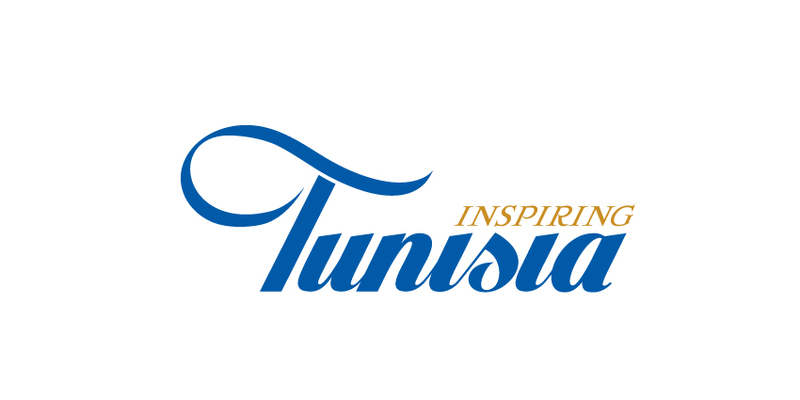 The Tunisian National Tourist Office is a promotional bureau based in Montreal, Canada and its main role is to promote the tourism and cultural attractions of the destination Tunisia in North America ( Canada and the USA ). Whether you’re a first timer or a regular visitor, there are endless adventures waiting for you in NEW HAMPSHIRE. The best part is, it’s all close by! Go climbing to the top of a scenic mountain in the morning, and be home to surf the seacoast at sunset. Feel the rush on a zipline canopy tour, or roar through the woods on an ATV. Paddle through family-friendly Class II rapids, or catch a chairlift up our snow-covered slopes and race your friends downhill. Shopping fan? NH is retail TAX-FREE! Passion, pleasure and transparency We are more than just a travel agency: Odyssea is a philosophy. We are dedicated to offering you the highest quality of service, with friendliness and warmth. We work hard so you do not have to. Your happiness is our pride. Odyssea was founded to offer you the peace of mind you need to make your next trip unforgettable. Get ready for your dream vacation. The Office's mission is to protect consumers. It administers, among other things, the Compensation Fund for Customers of Travel Agents, a protection that makes it possible for you to be reimbursed if you do not receive the tourism services for which you have paid (transportation, lodging, cruises, activities, etc.). You automatically benefit from the protection provided by the Fund when you purchase such services from a travel agency that holds a licence issued by the Office. Passion Monde by Voyages Bergeron is a family travel agency founded in 1950. We offer worry-free tours accompanied and guided in french in more than thirty destinations on five continents. We prioritize a human and warm approach in addition to giving great respect to our customers to make them live unique experiences. Passion Monde is quality, good humor and great discoveries! 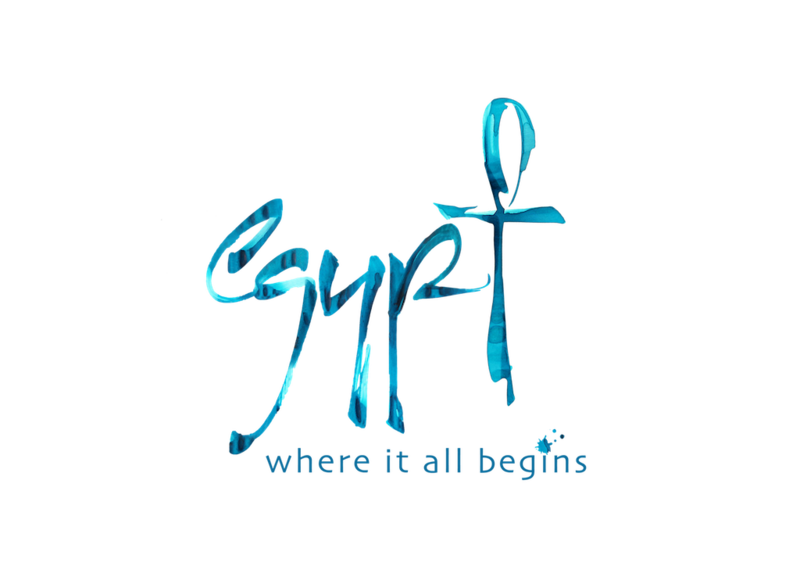 Passport to the World produces and distributes throughout Canada high-end quality travel movies, in English and French, made by Canadian and international directors dealing with various known and unknown world destinations. Pinhal Tour is a receptive specialized on mainland Portugal and its islands (Madeira and Azores), founded for over 14 years and located in central Portugal, one of the most visited regions of the country. We offer different types of trips (cultural, gastronomic, adventure, hiking, incentives, among others), but develop tailor-made trips, according to the needs of your customers. We offer a wide range of services with an excellent quality / price ratio. The Polish National Tourist Office is a government agency chartered with promoting Poland as a premier destination to tourist originating from both the United States and Canadian markets. Our goal is to create awareness, and then educate, encourage, and assist tourists who may be interested in travel to Poland, a modern country offering high standard of services and unique experiences. 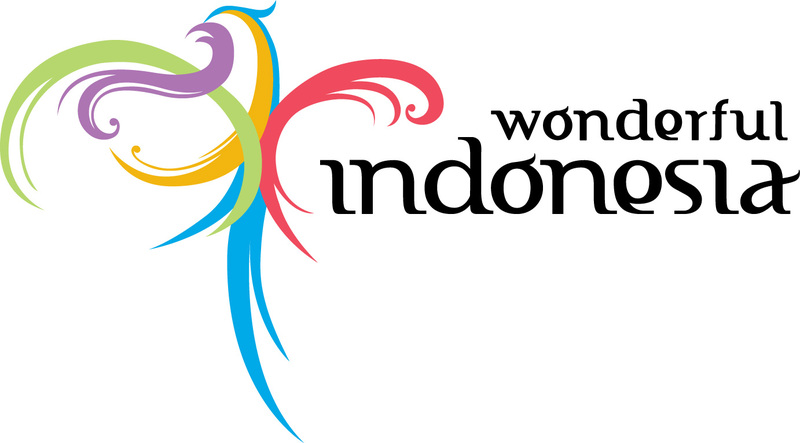 PNTO is a major source and supplier of travel related information to the country. Rayna Tours DMC, is Dubai's leading Destination Management Company with our head office is located in Dubai, UAE. The range of services we offer include: hotel reservations, visa services, holiday packages, airline ticketing, transfers, desert safaris, city sightseeing tours, multilingual guides, car rentals, entrance tickets to main tourist attractions, dhow and yacht cruises, restaurant bookings, MICE, and fully bespoke ground services in Dubai and whole United Arab Emirates. Safina Tours is a locally owned DMC based in the beautiful archipelago of Zanzibar. We are a 100% Zanzibari owned Incoming Tour Operator. We are a multilingual company with a good number of Tour Guides speaking a variety of languages, such as English, French, German, Spanish, to mention only a few. We are one of the very few companies in Zanzibar with a staff which possesses excellent academic records as well as practical experience. Our fleet is made up of nice and well-maintained vehicles, all of which are air-conditioned, with first aid kits and fire extinguishers. They are all in a good condition. You are all welcome to Zanzibar. The Saint Lucia Tourism Authority is a marketing agency for the lovely island of Saint Lucia. The office is a source of information about the island in general, the variety of accommodation options as well as the number of activities on offer. Sensoria is one of the most beutiful natural parks of Costa Rica, located in Guanacaste. We offer full day tours. Our visitors can walk 4 miles through our well perserve trails, visit 2 blue waterfall, and swim in 3 natural thermal pools. We offer a complete description of the flora and fauna with our profesional guides. Sensoria borders the Rincon de la Vieja National park, declare World Heritage because it contains 4% of World Diversity. At end of the trip we would serve lunch at our Main house. IG advisors have expertise in investments, insurance and mortgage planning, giving them a deep understanding of how your finances are interconnected and the ability to provide you with a truly synchronized plan. Your IG advisor, with the support of a team of tax and estate planning specialists, will create a 360-degree view of your financial situation and build a plan to serve all your needs. A local tour operator in Kathmandu, Nepal that strives to provide personalized services and create unforgettable travel experience for clients. We offer effective and fun ways to learn Spanish in Guatemala and online. Located in Panajachel by beautiful Lake Atitlan, our school is the only Spanish language school in Panajachel, Guatemala, that is Mayan owned. Learn Spanish in one to one classes, or with your friends. We also provide online Spanish lessons. We're sure you will have a great time learning Spanish with us in Guatemala. Set in the Indian Ocean in South Asia, the tropical island nation of Sri Lanka has a history dating back to the birth of time. Sri Lanka is one of the few places in the world that can offer the traveler such a remarkable combination of stunning landscapes, pristine beaches, captivating cultural heritage and unique experiences within such a compact location. Discover refreshingly Sri Lanka ! With strong costumer orientation, our mission is to provide unique and memorable moments in Portugal looking always to exceed the higher expectations of our customers. 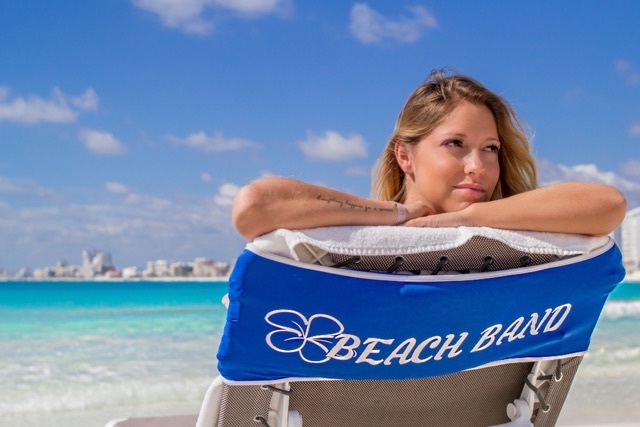 Suniela Beach designs unique portable sun shades; for the beach, park, or travel - right here in Montreal. Ultra wind resistant, with high quality aluminum poles, and machine washable fabrics. These exotic shades fit in a suitcase, carry-on, or bike basket... and weigh only 3 lbs. Suniela also carries gorgeous beach mats, custom made in India. Tanzania Tourist Board is a Government organization established 1992 mandated with the promotion and development of all aspects of the tourism industry in Tanzania with the vision of positioning Tanzania as the leading sustainable and preferred tourist destination in Africa. TAP Air Portugal is the flag carrier airline of Portugal, headquartered at Lisbon Airport which also serves as its hub since 1946. 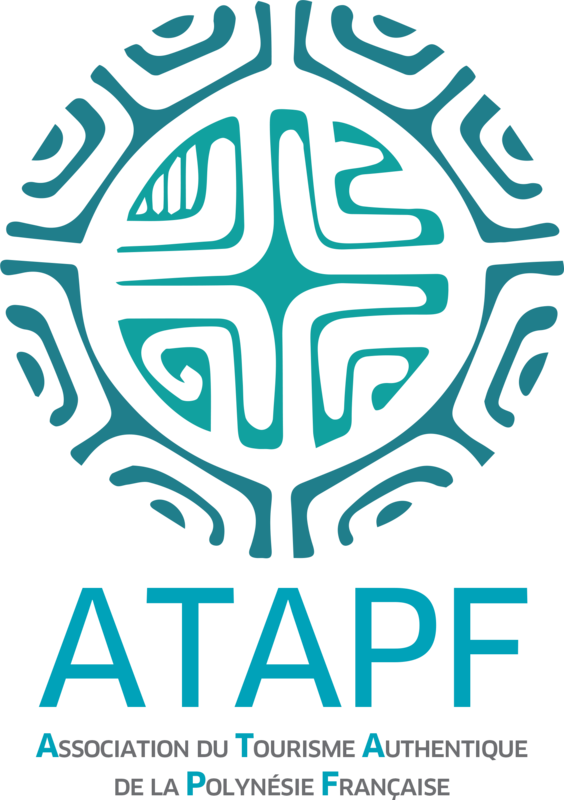 TAP – Transportes Aéreos Portugueses – is a member of the Star Alliance since 2005 and operates on average 2,500 flights a week to 87 destinations in 34 countries worldwide. The company has a fleet of 90 airplanes, 68 of which were manufactured by Airbus. The Tourist Offices of Spain are the representatives abroad of the Instituto de Turismo de España (TURESPAÑA), which is the Administrative unit of the Central Government of Spain in charge of promoting Spain abroad as a tourism destination. The Spanish Tourist Office in Toronto is one of 33 overseas offices of Turespaña, the Spanish institution responsible for the promotion and marketing of Spanish tourism abroad. Our areas of influence are the Canadian markets. A little piece of French in North America, where you'll receive a kind welcome and enjoy French language, cuisine, wines, and festivals. Tourisme Alberta promotes the development and promotion of Alberta as an authentic tourism destination by highlighting its spectacular scenery, gastronomy, culture, distinctive experiences and friendly welcome. TTB Travel is a Hanoi-based incoming agency. Acting as a small family-run company, we are highly specialized in tailor-made and theme tours. Our product range includes : spiritual & well-being tours, agri-tourism, community-based tourism, culinary tours, pilgrimage tours, etc. The human dimension is at the core of our travel philosophy. In this way, our tours are very rich in human encounters and authentic discovery. Whether you are a first-time adventure seeker or a seasoned independent traveller, we can help you to discover the world's most amazing people and places, cultures and landscapes. You can choose from offer 450+ adventures to 70 countries so there's bound to be an option to suit you. 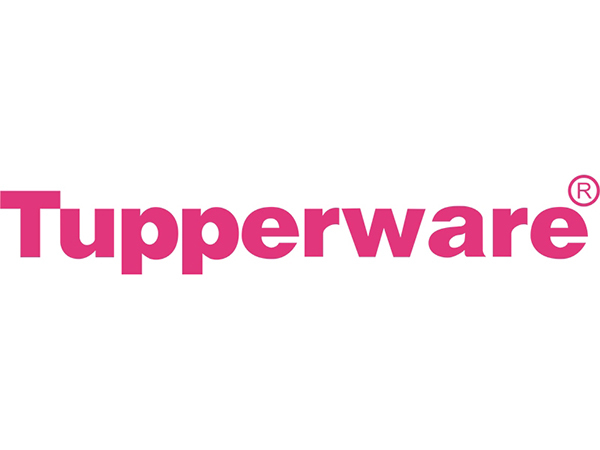 Tupperware has been providing quality kitchen products for over 70 years with a limited lifetime warranty. TURLUX is a DMC company based in Portugal with more than 10 years of experience and specialized in designing tailor-made tours. Our extensive knowledge and experience allow us to organize thematic trips emphasizing cultural, historical, gastronomic and wine tours, as well as nature and outdoors activities tours, creating highly personalized itineraries that respond to all tastes. Along with leisure, we also organize MICE trips based on each company needs and requirements. 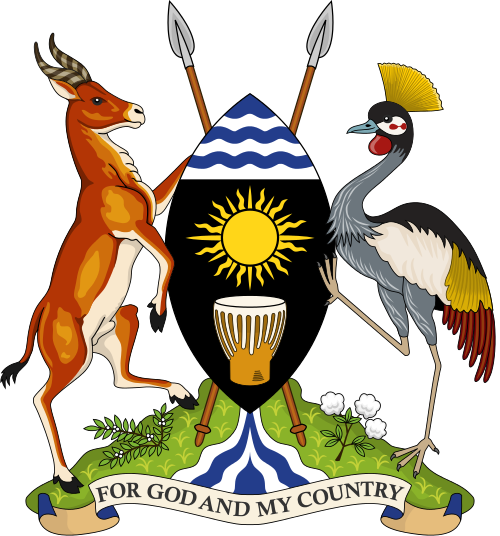 Uganda High Commission, Ottawa, is a Diplomatic Mission of the Republic of Uganda accredited to Canada. 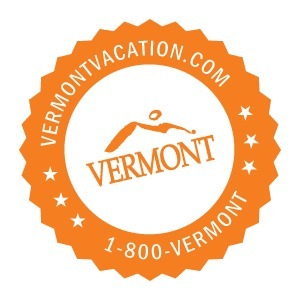 The attractions and destinations that await you in Vermont are plentiful in all corners of the state no matter what time of year you visit. From outdoor recreation like hiking and snowshoeing to shopping and dining out, there is something for everyone in our beautiful state. Vermont’s museums, galleries, and artisan shops are always opening their doors to curious visitors and we can’t wait for our neighbors to the north to come down for a visit! The Vietnam Embassy participated in this Travel Show for the second time and would like to present and promote the Vietnam tourism, culture for people in Montreal and Canada. Vietnam is a country with many beautiful places to visit. Welcome to Vietnam. Our slogan, "Virginia is for Lovers", brings to mind romance, but that isn’t all Virginia is about. 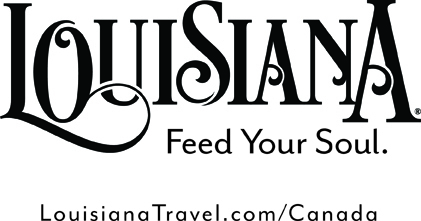 We are lovers of mountains, beaches, oysters, and wine… every square inch of the state provides an opportunity for a memorable vacation, no matter what your interests. So go ahead and plan a vacation to find your love with a visit to Virginia! Located midway between New York and Florida, Virginia is about a ten-hour drive from Montréal. VISIT FLORIDA is the official marketing organization for the state of Florida. The Florida section will include Florida Tourism and Partners from many Florida destinations. Visite Maroc, Morocco's specialist. You not only get the guarantee of a successful trip but you avoid the heaviness of several intermediaries. In addition to being a tour operator, we are also receptive agents to Morocco. Organization of tours and tailor-made trips to Panama in VIP Mode (Max 10-13 people) Excursions from one day to 12 days to make you discover places, often less touristy. All inclusive, but as you have never experienced. Nature, history, tropical forests, the beaches, the resort according to your travel objectives. Attentive people are here to guide you. Volenretard.ca aide les voyageurs retardés ou dont le vol a été annulé à obtenir une compensation juste et prend en charge les démarches parfois longues et épineuses qui accompagnent ce désagrément. Travel the World Offer yourself luxury and confort Our Agency is Certified Tahiti Specialist. We offer the best of both world, land and sea. Stay for few nights in a Overwater Bungalow in one of the Islands with a Cruise to see Bora Bora and other other Islands of Polynesia for 7, 10, 11 or 14 days. Contact our Tahiti Specialist to find the voyages offering 10 or 25% rebate with our Exclusive Gift offered only by our Agency. Voyages Humania was founded in 2015 and offers quality travel tailor-made for travelers and escorted tours on five continents. The environmental and social values of team members lead them to offer carbon-neutral travel and tours and to follow the principles of sustainable tourism. The Voyages Humania team is made up of experienced guides and guides who design the responsible journeys we offer. These destination specialists have traveled the world and accompanied thousands of travelers around the world. With Voyages Humania, discover the world differently! 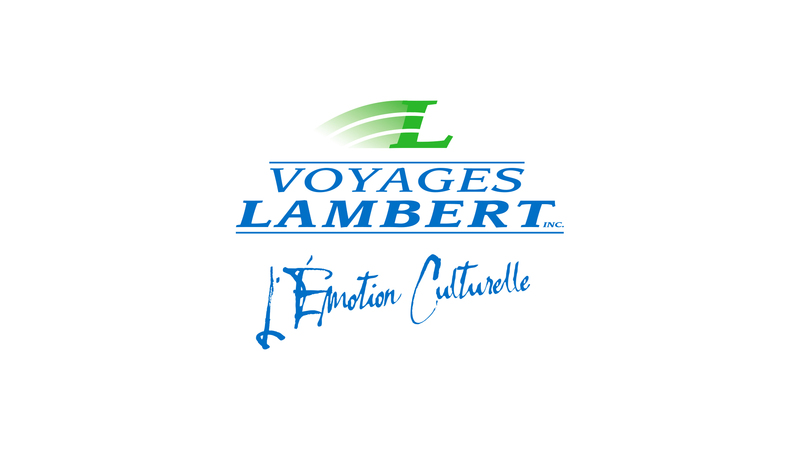 Since 1985, Voyages Lambert travels around the world to share its discoveries with its travelers through unusual journeys on the borders of the five continents. With almost 15 years of experience, the travel agency is named after the founder, Simon (Peng-Fei) Wu, who has organized and led tours to more than 40 countries, across 5 continents. During these years in this industry, Simon Wu has thus acquired a distinctive expertise. The agency of Simon Wu offers personalized trips tailored to meet different requirements: for individuals, for families, or for quality groups. Our travel agency offers classic tours where we sleep in the historical centers of the cities. Our destinations are Europe, South America, Asia, Africa and the Middle East. We have a specialty on cultural, natural and historical trips whether in group or individual circuit. We train only smalls groups between 15 to 30 peoples maximum. All entries, tours are included in our tours ... For trips like no other.. Since its founding in 1999, Traditours has made its mark by offering both exclusive and affordable stays in the heart of tradition. Today, we are the Quebec leader in group tours, offering 90 circuits and 50 cruises at a competitive price to discover the four corners of the planet. Our offer is continually expanding to include new destinations in order to better meet your expectations. 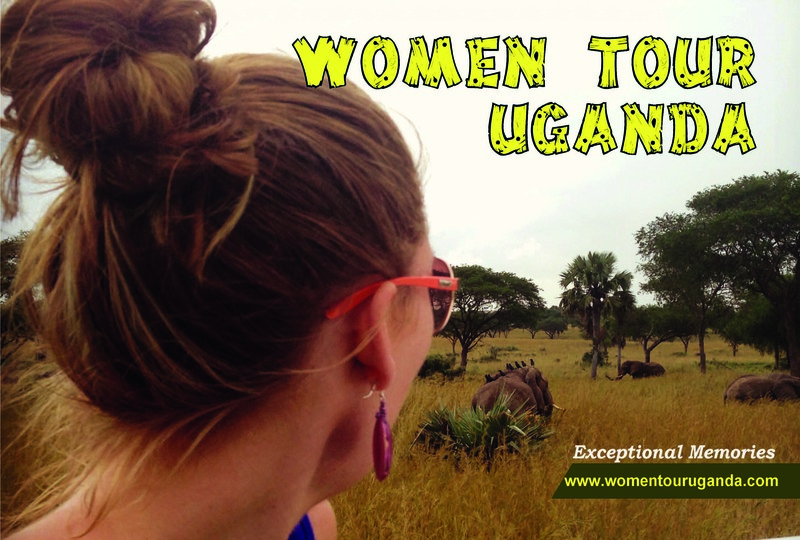 Women Tour Uganda is a destination management company in Uganda offering: Gorilla trekking women safaris, Women golfing safaris, Hiking and Adventure women safaris, Wildlife women safaris and Women flying safaris. We have solo traveler scheduled groups for women only and Private groups where our ladies are free to travel with anyone of their choice. All our safaris have a complimentary cooking and Gomesi traditional wear lesson, OF COURSE YOU COME BACK HOME WITH THE GOMESI as a gift from us. Xplore Voyages offers custom made itineraries for self-drives or small groups. Our consultants are avid travelers. They know their destinations and will help you prepare your journey as you see it. We are specialized in Africa, Australia and New Zeland. Zara Tours is a local company established in 1987, located in Moshi, Tanzania and has been certified by the Ministry of Natural Resources and Tourism as an “A” class Travel agency. Our head office is in Moshi, Tanzania with branch offices in Ontario, Canada and Colorado, USA. Zara Tours has evolved into Tanzania's largest Kilimanjaro outfitter and one of the country's largest safari operator in the region, with daily departures, we put more people on the Kilimanjaro summit than any other company.